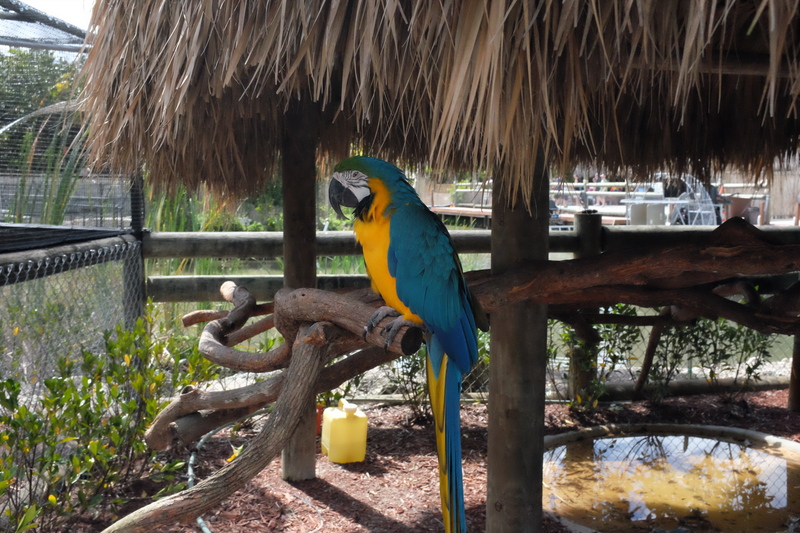 The next item on my list is to take a short trip to the Everglades Alligator Farm. 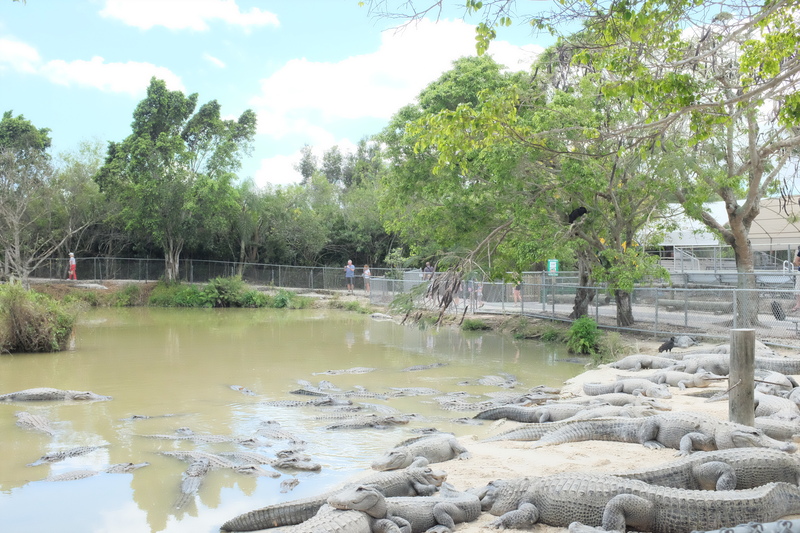 It was one of my only requests for activities on our week in Miami because – obviously – alligators are the cool, modern-day cousins of dinosaurs. I wanted to see gators, and I got my chance here, where about 500 of them are just trying to chill, man. This wasn’t as awesome or terrifying as seeing a bunch of alligators in the wild, but I appreciated keeping all of my limbs intact on our day trip. 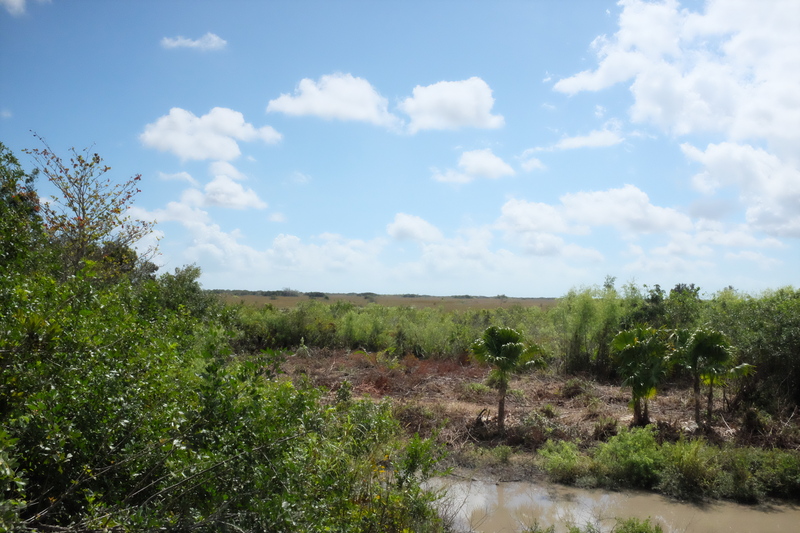 It was another sizzling day already when we headed from our condo just north of Miami to the Everglades. The farm wasn’t too crowded, since it was a weekday, but there was a gaggle of French teens positively brimming with ennui as they sprawled on benches in the scant shade and gazed morosely into smartphones. And this was just the start of our wildlife-filled adventure. Before you see any giant reptiles who look alarmingly like their ancient relatives, you’re treated to a rather dismal display with a few snakes and lizards. 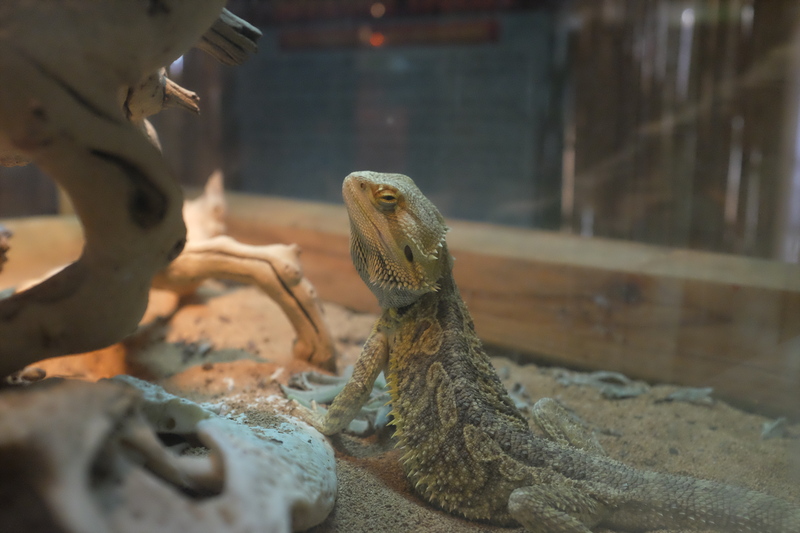 I was particularly impressed with this angry fellow. He shot that look over his shoulder like I’d just stepped on his tail and it broke off all awkwardly, or something. Up next was the gator growing pens. 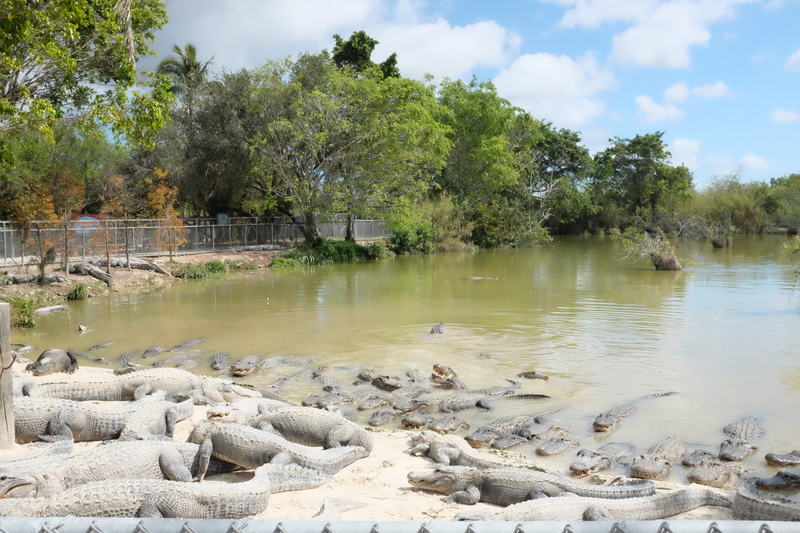 There are several large, rather destitute pond/land pens where they keep alligators, which are sorted based on their relative age and size. They started out itty-bitty and got larger as you walked down the line. 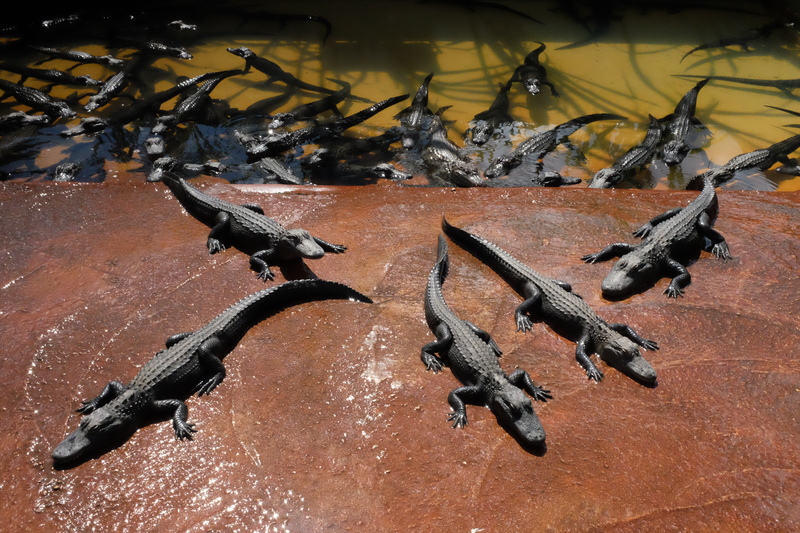 It was a bit sad to see so many little guys piled on each other and just kind of baking in the sun, but then seeing the full-grown alligators in their large habitats doing the exact same thing made me feel better. It’s just some camaraderie between reptile pals. We still had time to kill before our fan boat ride, so we wandered around the rest of the “farm.” There were some other animals scattered around the site as well, such as this parrot. Everyone seemed too hot to really do much of anything. The parrot was putting all of its effort into a pretty solid nap when we walked by a few times. 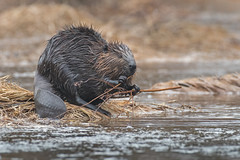 We had a driver who affectionately referred to himself as “Psycho Phil,” but he was actually a really skilled driver and guide of all wildlife-type things. 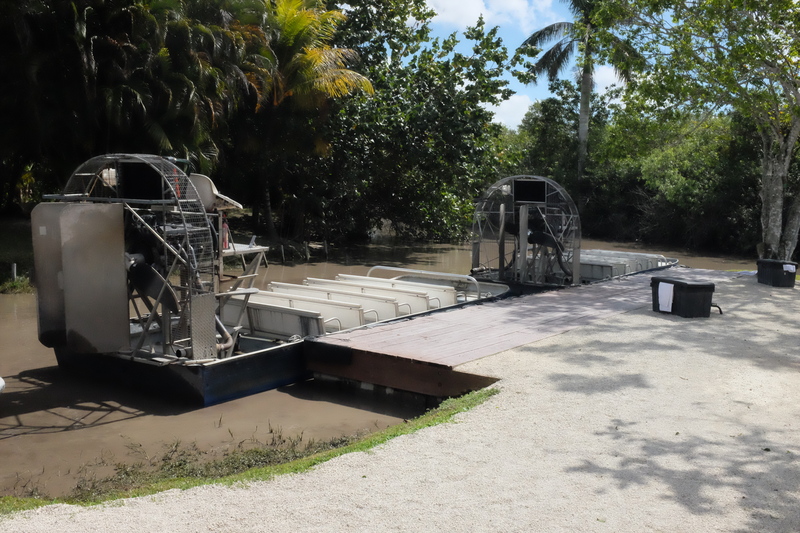 The tour was cheesy and touristy, but I had a great time with the stupid jokes and seeing a really big gator dude – far, far away from the boat, on land. But he was still terrifying. We took a tour through the greenery by the farm, and then Psycho Phil opened up the throttle and we skimmed across the glades. We were on water, but the tall grasses and lazily circling birds made it seem just like the prairies. Leave it to the random magic of Florida to make me nostalgic about summer in Winnipeg. Definitely more palm trees here, though. Don’t see many of them in the wild these days. I hope it was real. 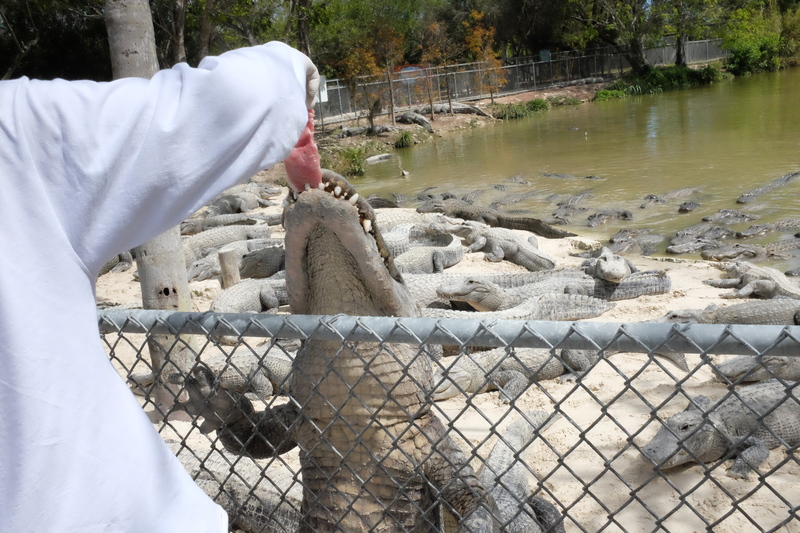 The feeding part of the show was great – featuring whole raw chickens and sides of ribs thrown to the gators of the audience’s choice – and the handler told us about his charges. There are five females for every male in the pond, just to make sure there aren’t too many fights over the ladies. And the biggest gator on the beach was somewhere around 60 to 80 years old. 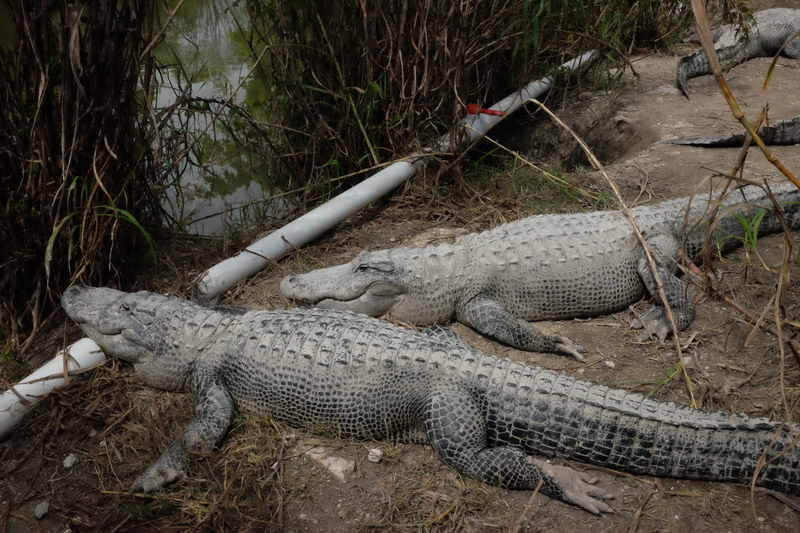 The handler even got into the pen at one point, poking smaller gators out of the way with his poking stick. Death wish? The big old gator boss got some chicken AND the rack of ribs, with the handler’s hands really, really close to his gaping maw. It was definitely weird to be so close to so many giant, terrifying creatures, with only a chain link fence between us. 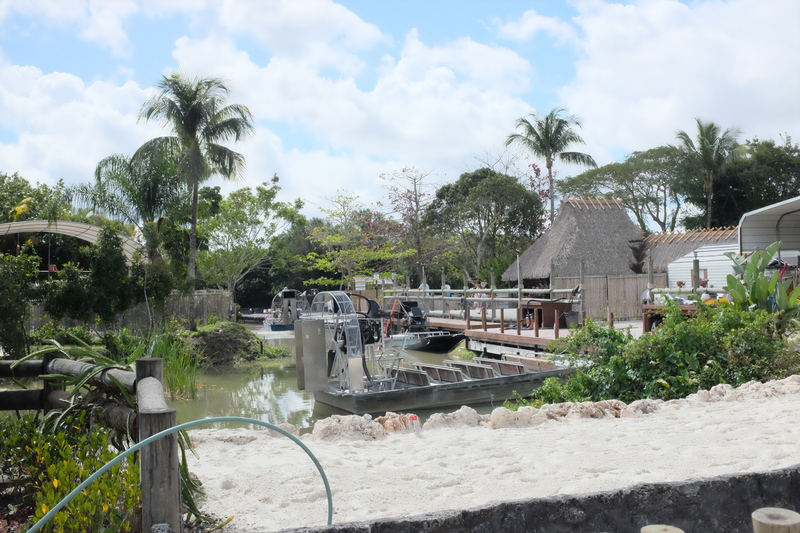 The handler only distributed a small bucket of meat, but he assured us that a bunch of large carcasses are thrown into the pond every couple of weeks to keep everyone fed and happy. The gators we walked by didn’t even blink for the most part, so I guess they’re satisfied enough with their cushy lifestyle. Or at least not hungry, most of the time. 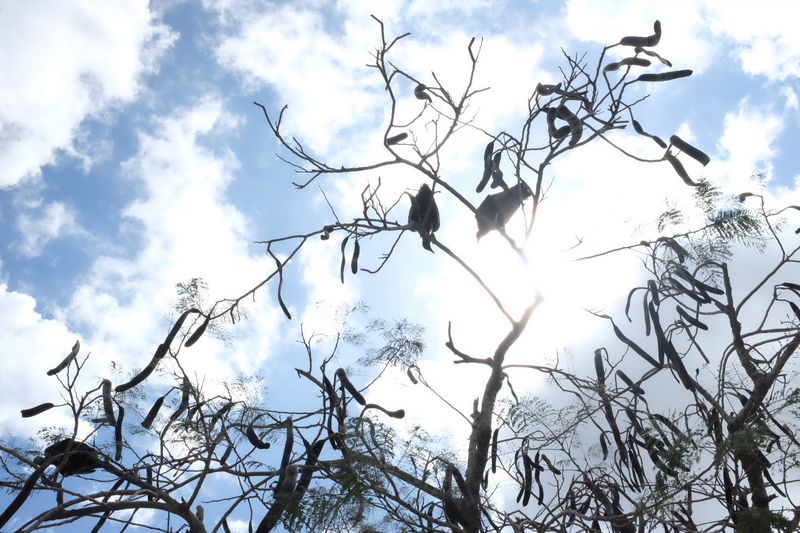 Vultures waited patiently in the trees and on the beach, hoping that some neglected chicken wing would somehow make it into their mouths without their own tiny heads getting crushed in any larger jaws. I didn’t see anyone with a successful maneuver. We left soon after that, since it was time to hunt for our own lunch. 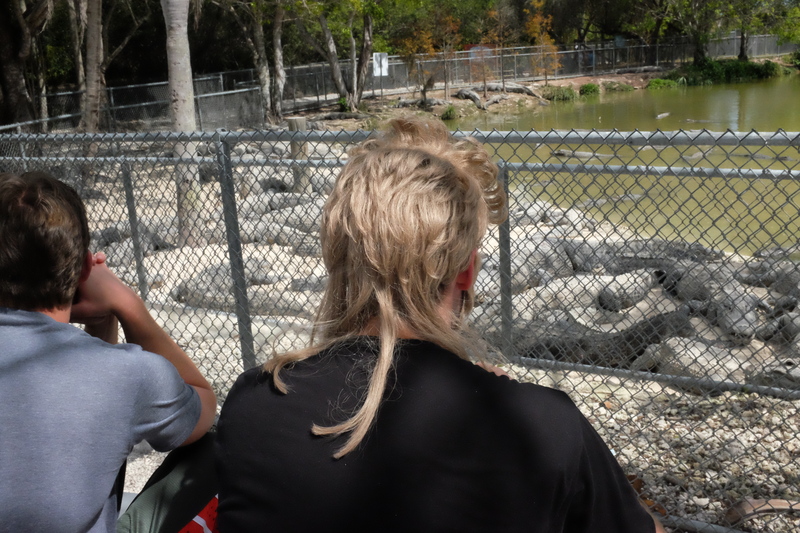 The gators were unperturbed to see us go, as I imagine they remain unperturbed about most things that aren’t raw meat. Up next: 8. Pelicans and giant tarpon at Robbie’s Marina.